It is understandable that you would want your home to be as clean as possible, but sometimes the lack of time and the busy schedule stand in the way of achieving the desired end cleaning results. Dust, dirt and grime stand in the way of you having the perfect home, but it doesn’t have to be like this! If you are struggling with cleaning a certain area of your home, we are available and at your disposal every day from Monday to Sunday. 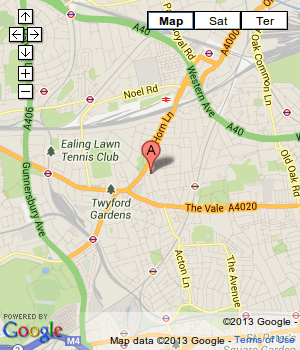 Our company has established offices all over London and now in Stockwell, SW9. We offer excellent cleaning care for your home, various different cleaning chores will be carried out to perfection by our most diligent, professional cleaning technicians. Their knowledge and expertise regarding the cleaning of dirt, dust and stains is abundant and it will most definitely guarantee your home’s clean state. We have a flawless reputation of a hard-working and highly-professional domestic cleaning service. Our cleaning employees have been supplied with all the necessary cleaning tools and materials to make any dirt and dust disappear with just one visit from our cleaners! Your home can once again look splendid clean and organized, and the best part is that you do not need to participate in the process at all. We will discuss and disclose all necessary information with you and arrange for a cleaning of high efficiency! If you have done some research then you probably already know of our company and all of our successful endevours. We are the only domestic cleaning service in Stockwell, SW9 to use environment-friendly cleaning materials and mixtures and still manage to achieve the desired end result. Our reputation precedes us and we invite you to try out just how easy and effective it is to have a professional team, like ours, handle the domestic chores for you. How many people will come to perform the domestic cleaning? 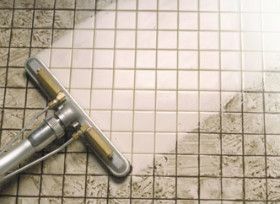 The number of the professional cleaners depends on the size of the property and the accumulated grime. 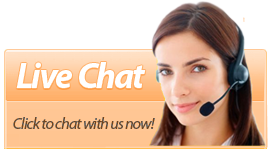 We will consult with you over the phone and we will decide how many people to send. Usually the number varies from one to four, however, every professional in our company is experienced and able to achieve the perfect results under any circumstances! How can I book the domestic cleaning? The first way to book our service is to come at one of the offices in the corresponding area. Another way to reach us is on the phone. Last but not least – online. In all of the cases you will be able to discuss your requests with a member of our customer support team, which is available to you 24/7 and will gladly answer any questions of yours and then book the service at time convenient for you! We are available seven days a week, basically – when you need us! We have a lot of professional cleaning teams and they will be sent at your property exactly when you want! You can book the domestic cleaning and other services of ours only when you have the time! Depending on the size of the property and the work we need to do, the prices for our domestic cleaning are fixed! Another plus is that you don’t have to pay any extra money for the equipment we bring – it is included in the price! We also have promotions and packages, for which you can ask when you call for a booking! All in all, our prices are reasonably low and affordable! Wishing your home to be as clean as possible is only right! You can have that and more with the help of our diligent cleaning technicians who will make sure all surfaces, in your home, receive the appropriate care! Our teams consist of highly-trained cleaning specialists with rich knowledge of the cleaning process and enhanced capabilities. 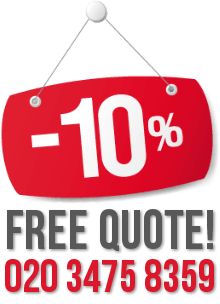 Find out how easy and rewarding a professional cleaning can be- imagine your home all cleaned and disinfected on a price you will most certainly find acceptable and fair. Book us now if you are anywhere in London, including Stockwell, Tottenham Hale and Clapham Junction. Our price rates are fixed and you won’t be overcharged! Any additional services will be discussed with the customer, before being conducted. We carry out our cleanings in a healthy manner, appropriate for all of our customers, regardless of the property’s size and requirements. Your domestic cleaning chores can become our responsibility with a single phone call placed to one of our offices in Stockwell, SW9. Undoubtedly, you will receive end-results on a professional level and of the highest standard. 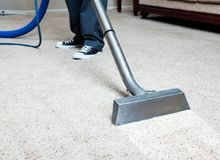 Shampoo, vacuum and wash (with optional deep-cleaning) carpets, upholstery, drapes etc. Removing of limescale and shining of the sink, bathroom and toilet area.